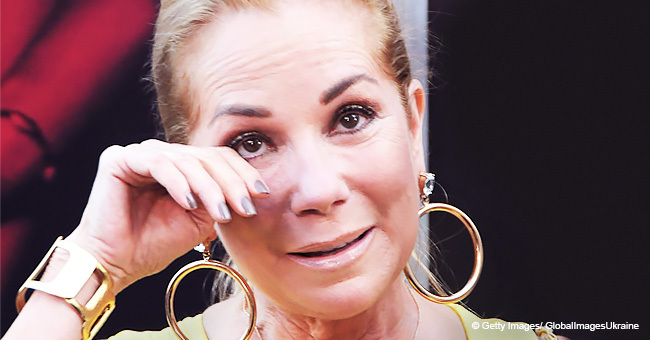 Last Friday, “Today” show co-anchor Kathie Lee Gifford said goodbye to the program after appearing on it for almost 11 years. She’d announced last December that she was leaving. 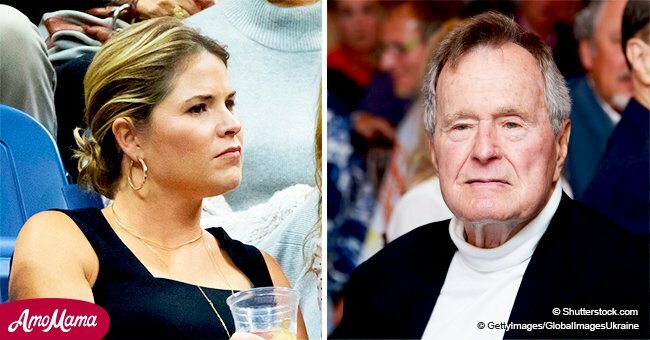 Her replacement came in the form of Former President George W. Bush’s daughter, Jenna Bush Hager. She had her first day of co-hosting on Monday. WELCOME TO THE NEW "TODAY" SHOW HOST! 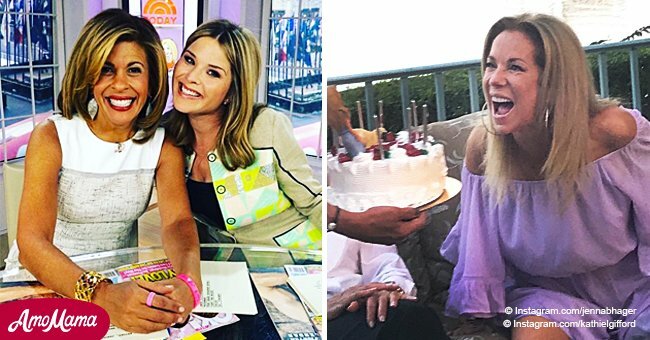 This week, Jenna Bush Hager, 37, had her very first day hosting the fourth hour of the “Today” show. She now co-anchors alongside Hoda Kotb, 54. “I KNOW YOU'LL DO A FABULOUS JOB." “WE'RE SO PROUD OF YOU!" While her mother-in-law added, “Congratulations, Jenna, we love you.” The new co-anchor couldn’t help but be touched by the sweet messages as she started crying. Bush Hager also received a special gift from her new co-host. Kotb presented the “Sisters First” authoress with a personalized engraved wine glass from an Amarillo, Texas fan. The veteran “Today” show host has an identical one too! Kotb was still not done with the surprises as she had one more special presentation to make. Her husband, Henry Hager, and daughters Mila, 5, and Poppy, 3, took to the stage to surprise her. The star’s children handed her a bouquet of roses. To which an overwhelmed Bush Hager exclaimed, “I’m a wreck!” In February, she was announced as Kathie Lee Gifford’s replacement and on the “Today” show she revealed she had trouble sleeping on the night before her first day. 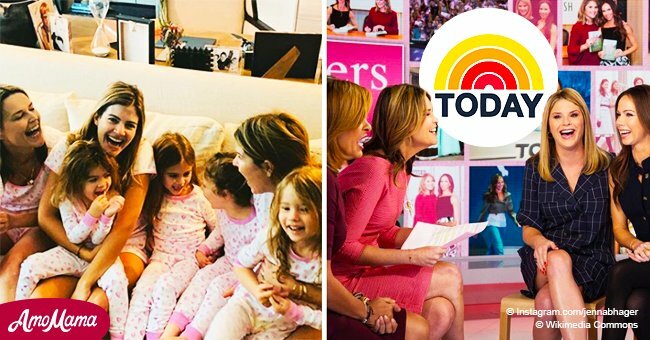 Bush Hager shared that while she scrolled through Instagram "right before bed," she saw the new page for the morning show, @HodaAndJenna. She explained, "And at first, I was like my head looks huge, but then I got over that." Then, “I just screamed and I woke [Henry Hager] up. Her emotional reaction got worse as "[She] got really hyper..." "and Henry said he was about to tranquilize me, and then I fell asleep." The new co-hosts also had some fun on the show as they tried to find their unique “pregame” line. After a bit of a hiccup, the pair settled on, "Let's go, y'all!" In late February, it was revealed that Bush Hager would permanently replace Gifford, 65, after the old host announced in December that she was leaving the show. “Today’s” producers felt that Bush Hager was “an organic replacement,” because of her regular presence on the show for nearly a decade.